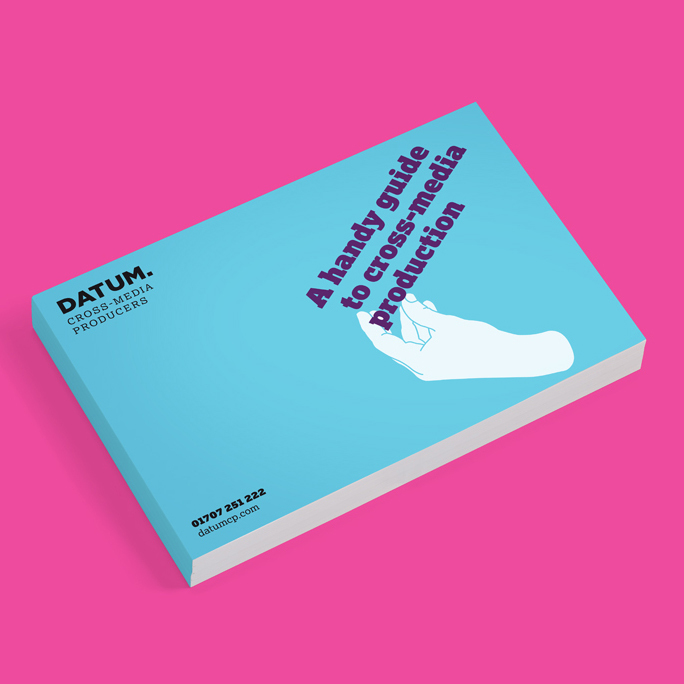 Our goal at Datum has always been simple, to deliver complete client satisfaction on every project. Over the years, the variety and scope of these projects has expanded from print into digital and beyond into full-blown campaigns. Our goal remains unaltered but what has changed is the cross-media world we now operate in and the resulting complexities. Many of our clients do not have the time or energy to keep abreast of ever changing and expanding technical standards and protocols. We asked how we could best help and the answer from our clients was (and we are paraphrasing slightly!) that they would love a handy guide to cross-media production. With this in mind, we pulled together all our knowhow, and spliced it through with our experience and thus was born The Handy Guide to Cross-Media Production. Whether you just want to double check an envelope size, seek clarity on unfamiliar terminology or reference our FAQ’s, the guide is there to help you navigate through the world of cross-media production. This section includes an artwork checklist, advice on how to export PDF files safely as well as some relevant FAQ’s. A handy glossary of the most common terms in cross-media covering all of your print and digital terminology. We think you will find the guide useful and that it will help you get the most out of your production projects. However, there are always times when a chat with a person is best, so feel free to contact us anytime. We are always updating the guide with the latest information so let us know if you think something is missing, we’d love to hear from you and we will get straight on it.